Sara achieved her degree in Mechanical Engineering at the University of Malaga (Spain) in 2003. She then completed her PhD at the University of Southampton in finite element modeling of knee replacement devices. She has conducted post-doctoral research at the Trinity Center for Bioengineering in Ireland, at the Julius Wolff Institute in Germany and at Stanford University in the USA. 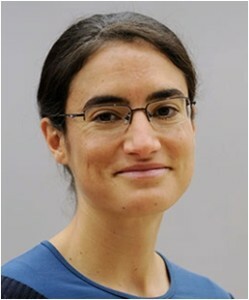 She is currently a group leader at the Julius Wolff Institute, specializing in computer modeling of mechano-biological processes with a focus on bone healing and adaptation at the tissue and cellular scales. She is an author of more than 30 publications in peer-reviewed journals, several book chapters and more than 70 contributions to International and National Conferences. She has been an ESB member since 2007.